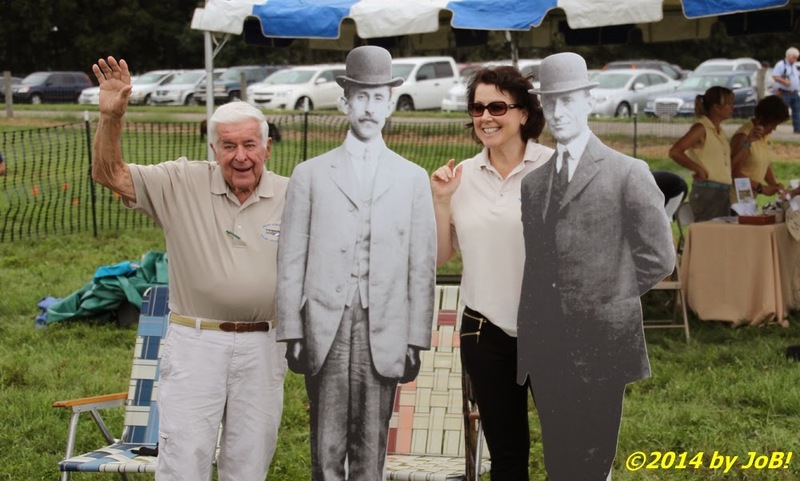 Two attendees stand next to life-size cutouts of Orville and Wilbur Wright at the 2014 Great Wright Brothers Aero Carnival at the Dayton Aviation Heritage National Historical Park's Huffman Prairie Flying Field on Saturday afternoon. 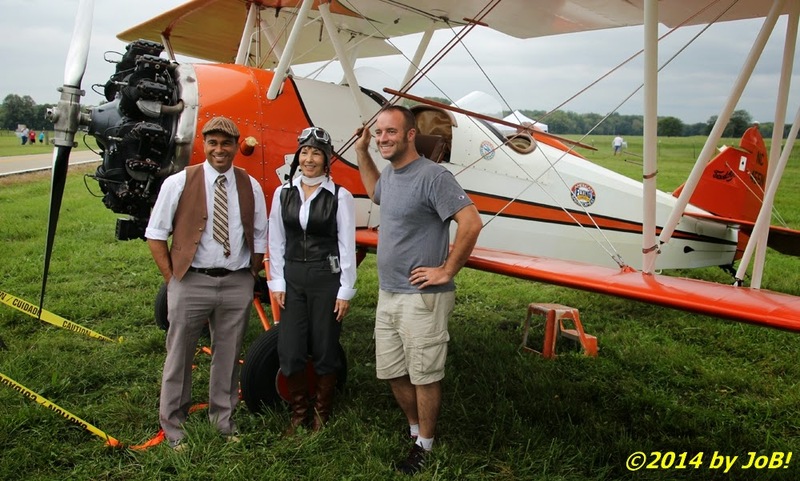 Undeterred by threatening skies, fans of aviation, history and nature gathered on Saturday afternoon to attend the 2014 Great Wright Brothers Aero Carnival held at the Dayton Aviation Heritage National Historical Park's Huffman Prairie Flying Field near Dayton, Ohio. The event, put on by the National Park Service and the 88th Air Base Wing from nearby Wright-Patterson Air Force Base, was the fourth over the past five years intended to bring the public to that location and explore this historic site used by Orville and Wilbur Wright from 1904 through 1917 for the development and enhancement of their original Wright Flyer aircraft. Last year's carnival was cancelled due to military budget cuts due to sequestration. 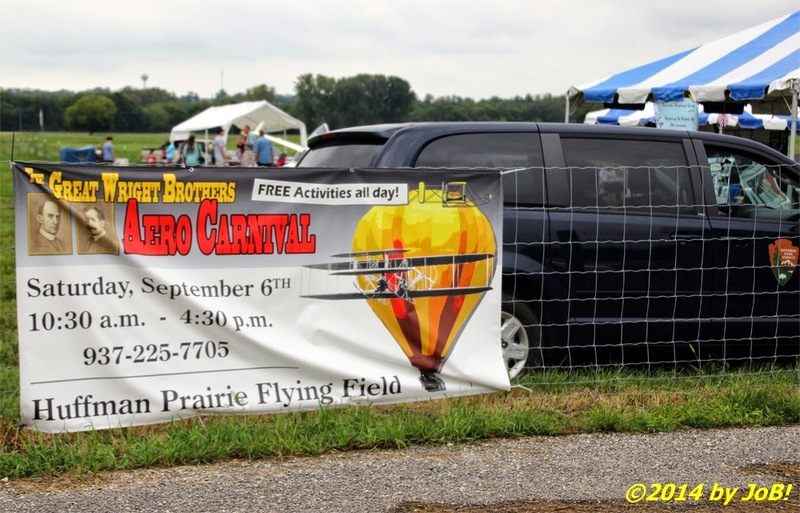 A sign greeting visitors to the 2014 Great Wright Brothers Aero Carnival at the Dayton Aviation Heritage National Historical Park's Huffman Prairie Flying Field on Saturday afternoon. 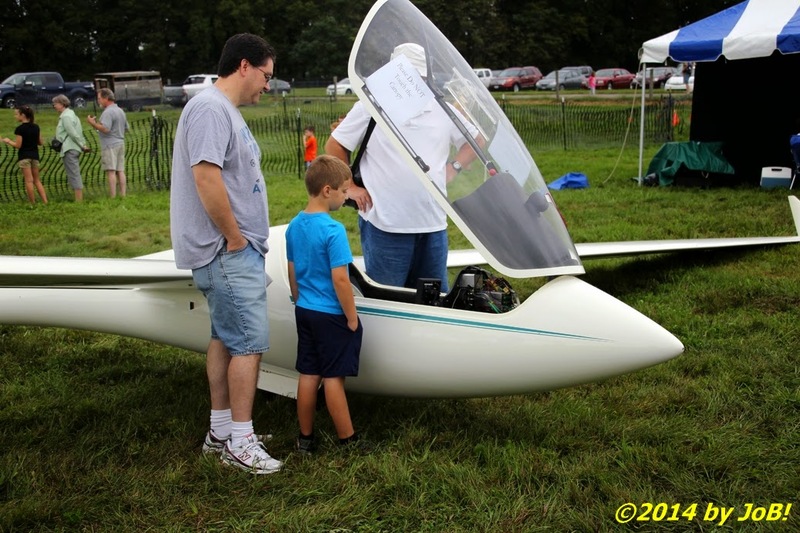 In addition to educational displays and presentations by NPS personnel and local historical organizations, attendees were treated to a static exhibit of several aircraft and a hot air balloon basket, sheep herding demonstrations, model aircraft and rocket displays, and various activities to entertain younger children. Sponsors of the 2014 Great Wright Brothers Aero Carnival included Aviation Trail, Inc., the Bicycle Museum of America, Caesar Creek Sparing Club, the Citizens Motor Car Museum, the Dayton Cycling Club, Dayton History at Carillon Historical Park, Five Rivers Metro Parks, Learning Tree Farm, the National Aviation Heritage Alliance, The Nature Conservancy, Radical RC, the Riverside Historical Society, the SPARK Radio Club, and Special Collections and Archives from Wright State University. 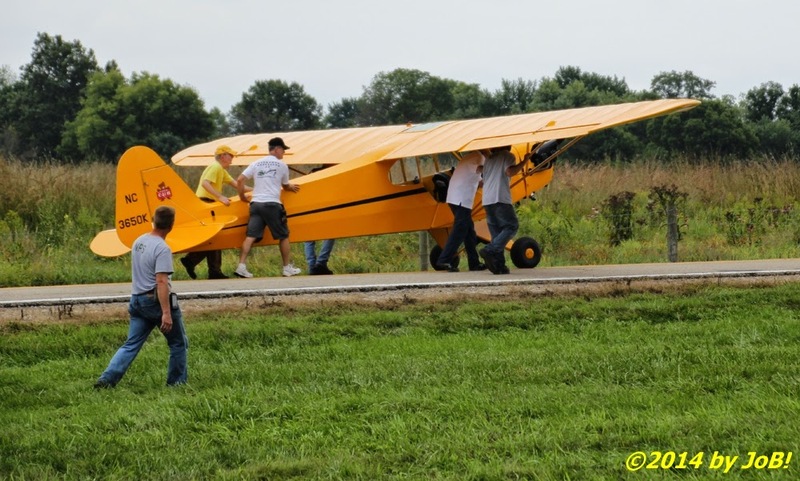 A 1946 Piper Cub J3 is taxied to its static display position at the 2014 Great Wright Brothers Aero Carnival at the Dayton Aviation Heritage National Historical Park's Huffman Prairie Flying Field on Saturday afternoon. 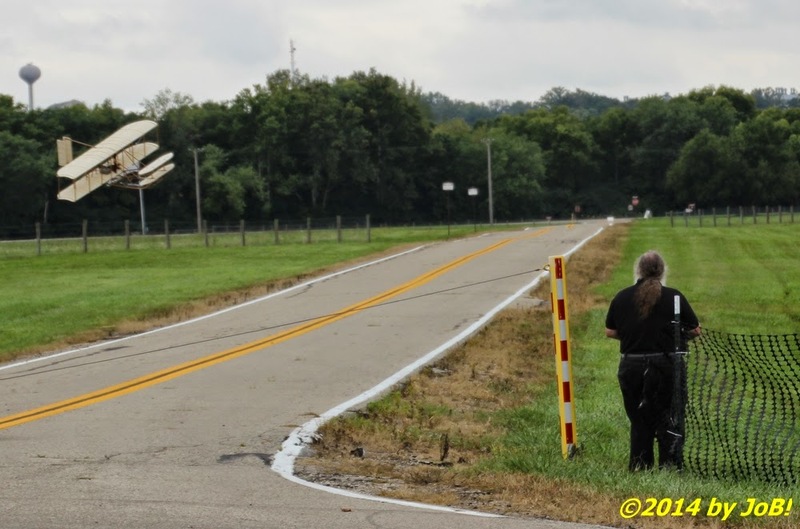 AMA Model Aviation Hall of Fame member Keith Shaw brings in his 1905 Wright Flyer Project radio-controlled plane in for a landing at the 2014 Great Wright Brothers Aero Carnival at the Dayton Aviation Heritage National Historical Park's Huffman Prairie Flying Field on Saturday afternoon. 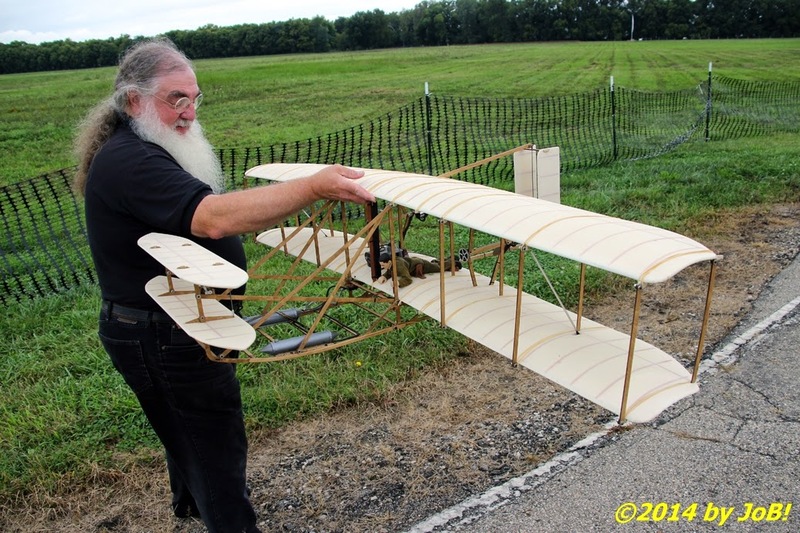 AMA Model Aviation Hall of Fame member Keith Shaw holds up his 1905 Wright Flyer Project radio-controlled plane at the 2014 Great Wright Brothers Aero Carnival at the Dayton Aviation Heritage National Historical Park's Huffman Prairie Flying Field on Saturday afternoon. 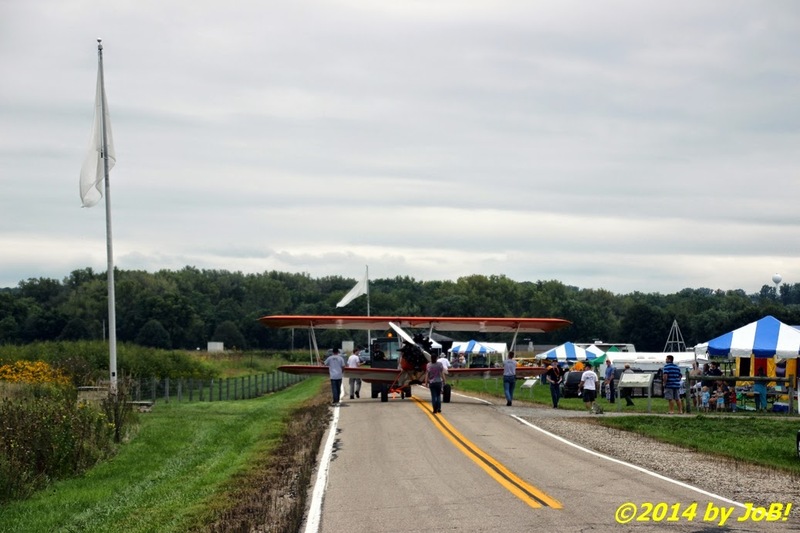 A 1929 Curtiss Wright Travel Air D4000 is towed to its static display position at the 2014 Great Wright Brothers Aero Carnival at the Dayton Aviation Heritage National Historical Park's Huffman Prairie Flying Field on Saturday afternoon. Members of the Goodfolk & O'Tymes biplane ride company stand in front of their 1929 Curtiss Wright Travel Air D4000 at the Dayton Aviation Heritage National Historical Park's Huffman Prairie Flying Field on Saturday afternoon. 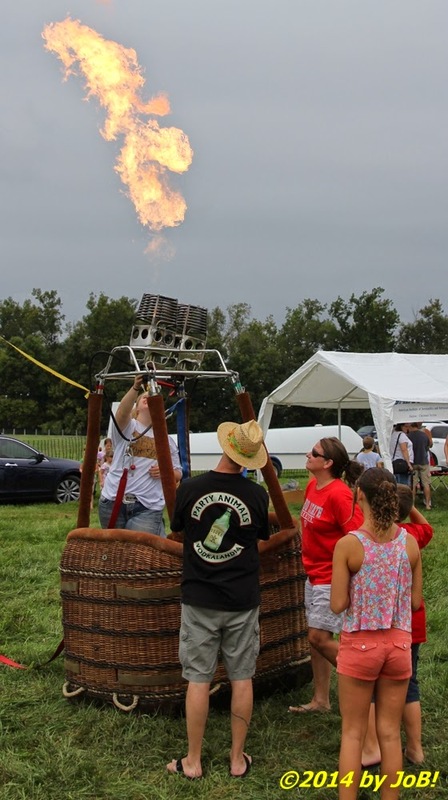 Attendees look on as a hot air balloon burner blast valve is activated at the Dayton Aviation Heritage National Historical Park's Huffman Prairie Flying Field on Saturday afternoon. Several attendees look inside the cockpit of a Schleicher ASW 20 glider at the Dayton Aviation Heritage National Historical Park's Huffman Prairie Flying Field on Saturday afternoon. 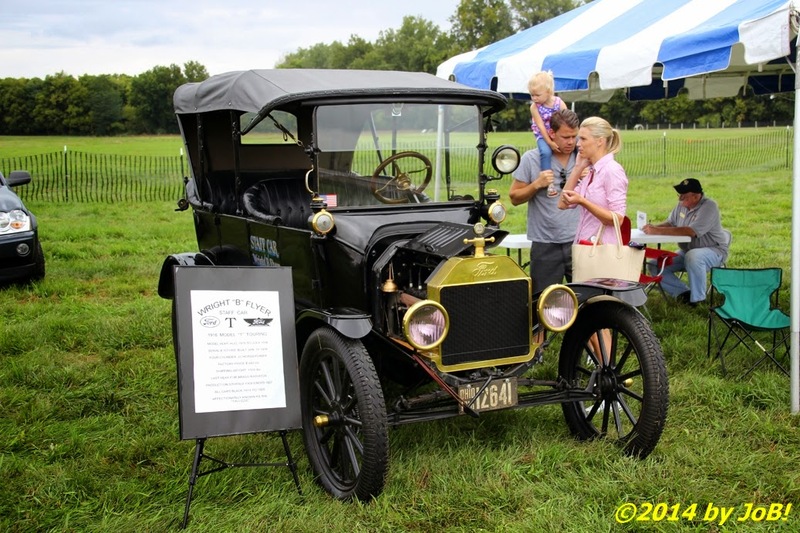 Family members look over a 1916 Ford Model T "Tin Lizzie" touring vehicle at the Dayton Aviation Heritage National Historical Park's Huffman Prairie Flying Field on Saturday afternoon. 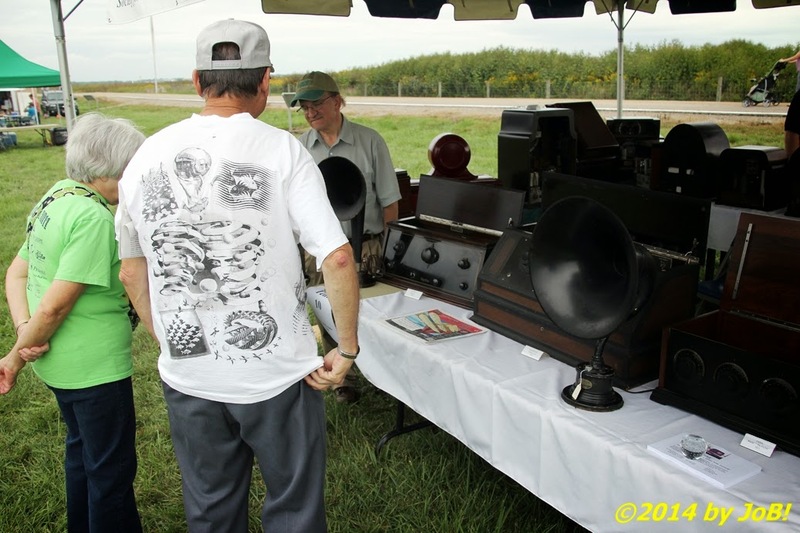 Attendees ask questions on antique radio and phonograph equipment at the Society for the Preservation of Antique Radio Knowledge, or SPARK, tent at the Dayton Aviation Heritage National Historical Park's Huffman Prairie Flying Field on Saturday afternoon. 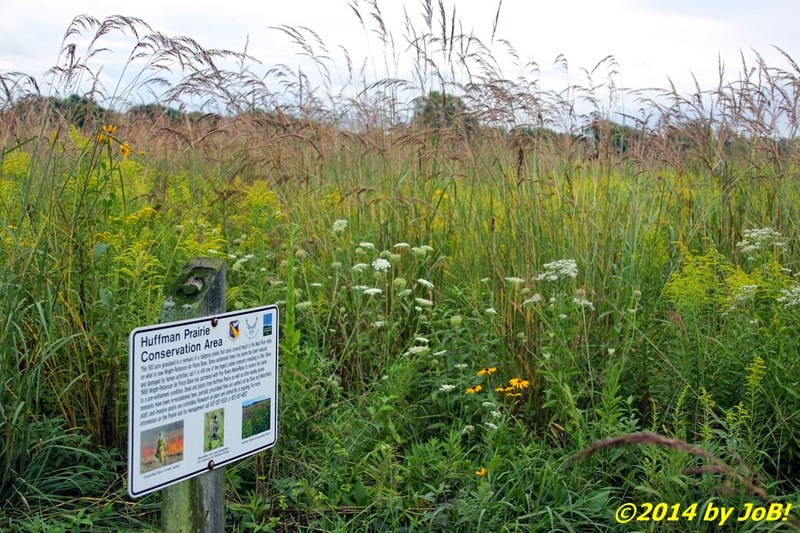 The Huffman Prairie Conservation Area, a joint endeavor between Wright-Patterson Air Force Base and Dayton's Five Rivers MetroParks regional public park system, sits adjacent to the Dayton Aviation Heritage National Historical Park. 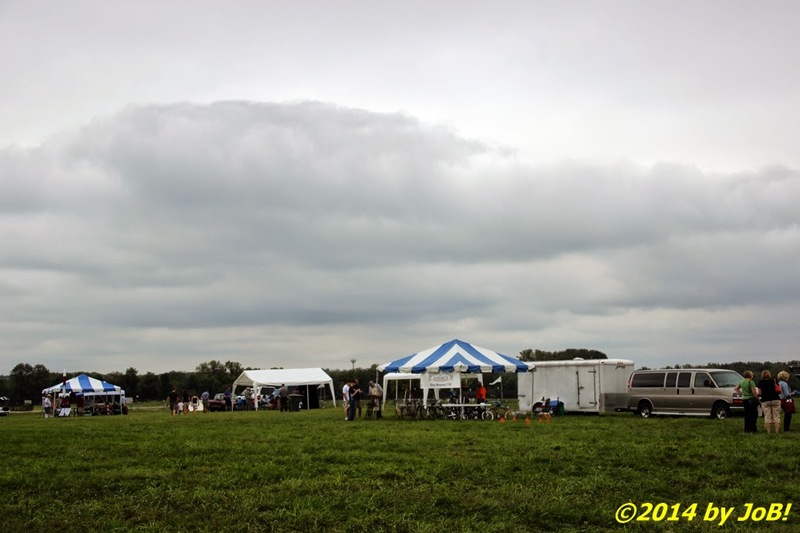 Rain clouds approaching the 2014 Great Wright Brothers Aero Carnival at the Dayton Aviation Heritage National Historical Park's Huffman Prairie Flying Field on Saturday afternoon.